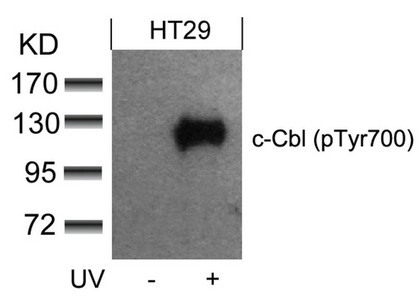 Western blot analysis of extracts from HT29 cells untreated or treated with UV using c-Cbl(phospho-Tyr700) Antibody. 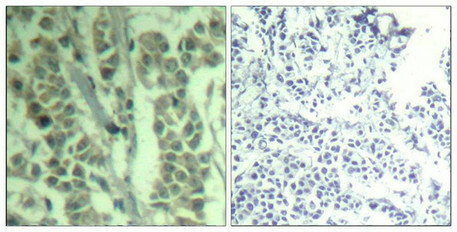 Immunohistochemical analysis of paraffin-embedded human breast carcinoma tissue using c-Cbl(Phospho-Tyr700) Antibody(left) or the same antibody preincubated with blocking peptide(right). 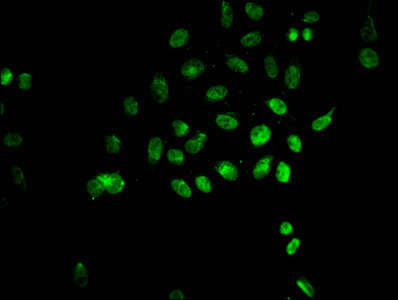 Immunofluorescence staining of methanol-fixed Hela cells using c-Cbl(phospho-Tyr700) Antibody. 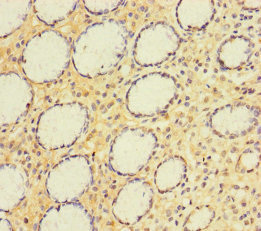 Immunogen Peptide sequence around phosphorylation site of tyrosine 770 (T-E-Y(p)-M-T) derived from Human c-Cbl. 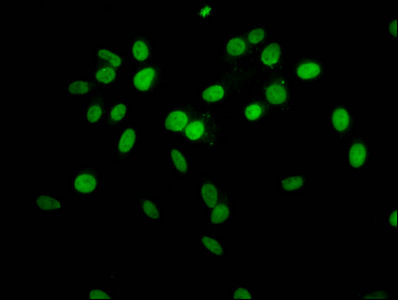 Specificity The antibody detects endogenous level of c-Cbl only when phosphorylated at tyrosine 770. 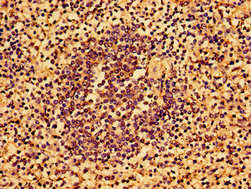 Relevance Participates in signal transduction in hematopoietic cells. 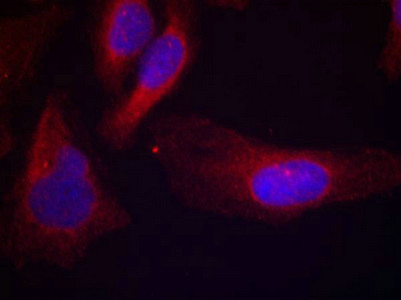 Adapter protein that functions as a negative regulator of many signaling pathways that start from receptors at the cell surface. 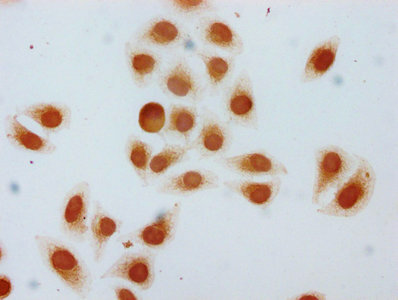 Acts as an E3 ubiquitin-protein ligase, which accepts ubiquitin from specific E2 ubiquitin-conjugating enzymes, and then transfers it to substrates promoting their degradation by the proteasome. 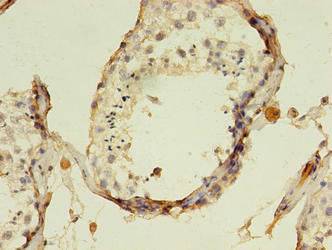 Recognizes activated receptor tyrosine kinases, including PDGFA, EGF and CSF1, and terminates signaling.